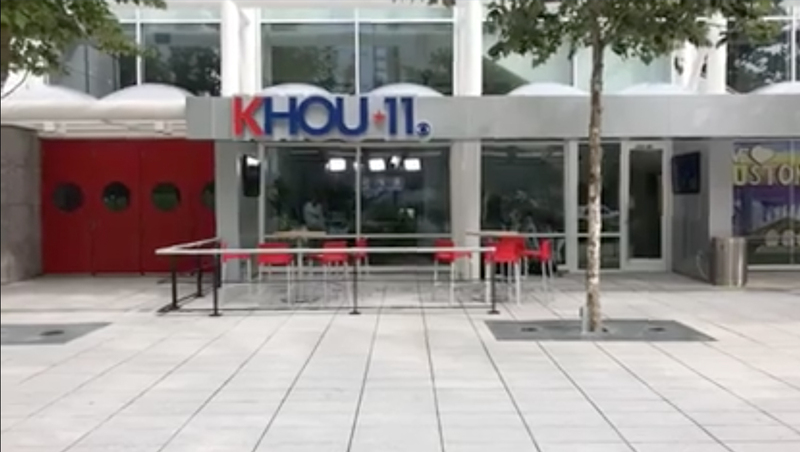 KHOU, which is currently broadcasting out of a temporary facility at Houston Public Media, has opened a new permanent studio — though it’s not its new primary home. The station, whose longtime building was rendered unusable after it was flooded by Hurricane Harvey, has been operating out of KUHT’s studio since the weeks after the storm, is planning to move into a new permanent home in 2019. On Friday, however, the station used its new downtown Houston studio for the first time during its 4 p.m. newscast, reports Mike McGuff. The station announced its plans for the new studio in December 2017, though at the time it had not made a decision of whether it would return to its old building or not. The streetside studio is part of the Avenida Houston development. The new studio was used for a product testing segment with reporter Tiffany Craig, who joined the anchor team back at the station’s long term temporary set at Houston Public Media. Craig also posted a video tour of the new space in Facebook. Overall, the new space is relatively simple — with the primary backdrop being the sidewalk and street. The station has a pod-like desk along with potted plants and carpet in the studio space, though these haven’t appeared prominently on camera yet. 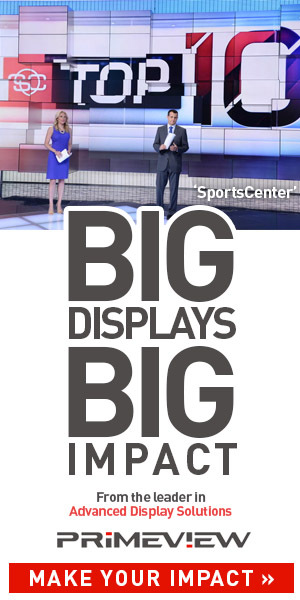 On the outside, the small storefront-style space features dimensional lettering of the station’s new logo.